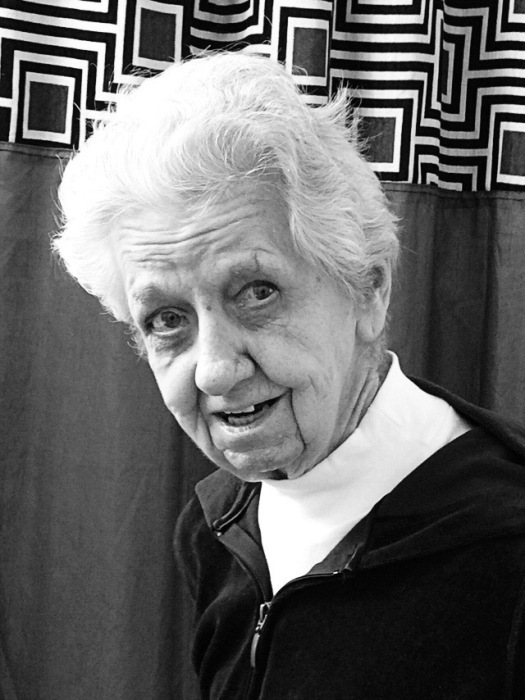 Missoula – Joyce Marie Hyndman, 90, passed away March 17, 2019, with her family beside her at Bee Hive Homes of Hamilton. Joy was born in St. Ignatius, MT on October 9, 1928, to Minnie and Melvin Price. Her family moved to Missoula when she was 4, and there she attended Franklin Grade School and graduated from Missoula County High School. 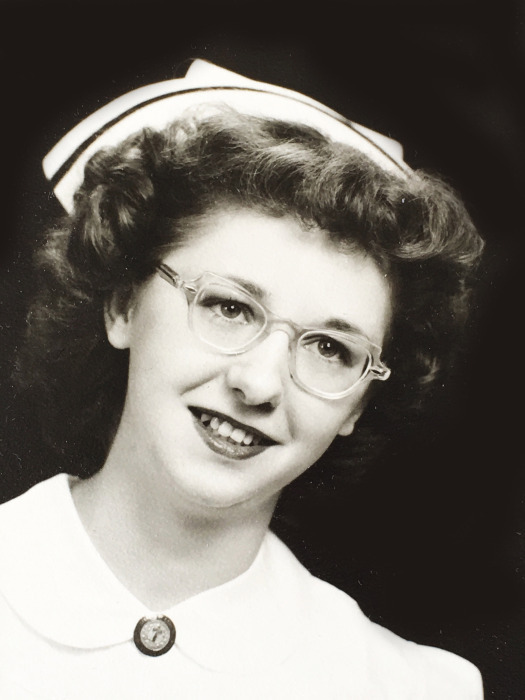 After graduation, she attended Carroll College where she earned a Certificate of Nursing in 1950, then became an RN in 1951. Joy worked as a surgical nurse in St. Patrick’s Hospital and later caring for residents at Hillside Manor in Missoula. Joy married Harvey Solander in 1952, and they had three daughters, Lyn, Debbie (Shahar), and Laurie. Harvey died in an accident at work in 1960. In 1962 Joy and Harold Hyndman (Heinie) were married and they had one son, Larry. They enjoyed many years of square dancing together with two Missoula clubs, and she cleverly made their matching outfits as well as costumes for special events. Several winters they traveled south to Arizona, and after Heinie’s death Joy bought a home in Mesa, where she enjoyed spending the winters. For many years Joy enjoyed bowling on various teams with her sister, Vail. She liked flowers and gardening, though her passion was crafting. She loved making things with her hands, and often would make not one, but dozens of each project. She particularly loved her paper mache Christmas carolers; after giving sets to her children, she proudly kept a group of 4 displayed in her home year-round. Joy also enjoyed painting: oils, tole painting, Chinese brush painting, wall murals, and watercolor landscapes. Joy delighted in sharing her never-ceasing sense of humor with everyone around her. She enjoyed food and cooking large family meals, baking pies and cookies, and eating ice cream. For many decades she completed the crossword puzzle daily and read 5 books a week. We will always remember Joy for her quirky humor, dedication to her morning newspaper, passion for sweets, and all things purple. Joy is preceded in death by her two husbands and step daughter, Janice Lincoln, and all 6 of her siblings. Surviving family members include Doreen Roberts, Roger Hyndman, Lyn Solander, Shahar Solander, Laurie Sampson, Larry Hyndman, 14 grandchildren, 16 great grandchildren and many nieces and nephews. Joy’s family is grateful to the staff at Bee Hive Homes of Hamilton and Hospice for their thoughtful care and attention to Joy’s needs. A private family memorial gathering will be held this summer. Condolences may be left for the family at www.dalyleachchapel.com.